Hotel complex Predel provides accommodation in modern, functionally furnished rooms, equipped with everything you need for a comfortable stay – satellite television, a mini bar, a balcony with panoramic view, a private bathroom with shower, central heating, a telephone and, of course, room service. 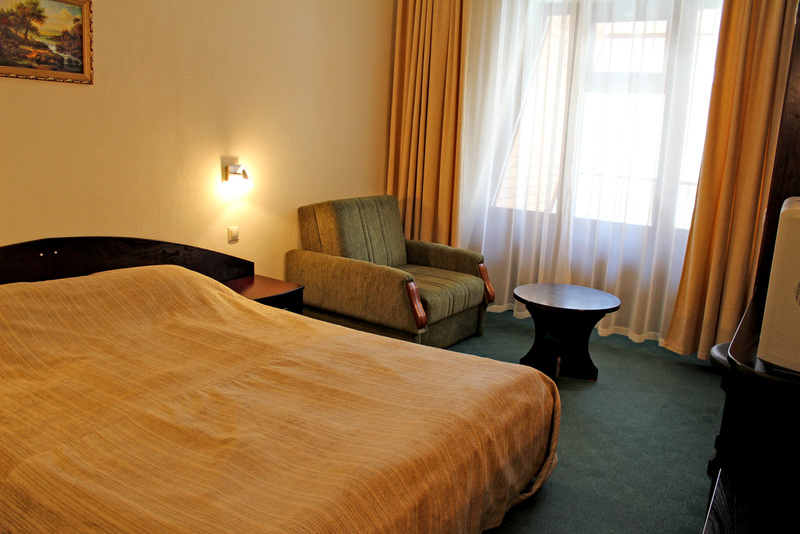 The complex offers single and double rooms, as well as luxury rooms with an extra bed and a free parking lot. A playground – a safe place, where your children can play while you relax.